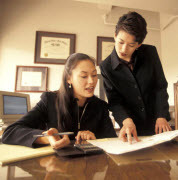 As said in an announcement by the Federal Reserve (click here), "financial institutions must have an effective, independent real estate appraisal and evaluation program" and that appraisers performing reviews are compelled to "have the knowledge and expertise to assess compliance with the Federal Reserve's appraisal regulations and guidelines." Appraisal Service and Solutions, LLC provides appraisal review services that are objective, efficient, professional and square with the Federal Reserve's rules. A review appraisal should ascertain: whether the original appraisal or evaluation is appropriate for the transaction, the liability inherit in the transaction, and whether the method by which the collateral valuation is rendered guarantees independence and quality. They should also indicate whether the appraisal or evaluation report is true to the letter of engagement, which gives an account of the scope of the appraisal assignment. Lastly, the Federal Reserve also states that "some banks supplement routine reviews with post-funding evaluations of appraisal quality for some of their higher-risk or greater-value transactions as a control to assist in detecting valuation problems". If you're in the need of a real estate appraisal review or have questions in reference to an appraisal, contact Appraisal Service and Solutions, LLC today. In addition to adjusting our work to the practices and guidelines of our review clients, there are four Fannie Mae forms that are usually used for review services, and we'll develop an appraisal review on any one of them. They include an appraisal "desk" review, a "field" review, a "short" form and a "narrative" form. At Appraisal Service and Solutions, LLC, we are experienced in every form of appraisal review, review practice and the obligations of review appraisers. Appraisal Service and Solutions, LLC knows what constitutes a quality appraisal and what the most frequent defects are, especially when it comes to our local real estate market. The professionals at Appraisal Service and Solutions, LLC are also adequately experienced to recognize that our competitors in our market are qualified to do quality work. The Uniform Standards of Professional Appraisal Practice, or USPAP, govern appraisal reviews and appraisal reports, and you can rely on us to lawfully look over appraisal reports done by others. And those others might be studying our work, too! Here at Appraisal Service and Solutions, LLC, you can have confidence in our independent judgment, because we offer professional, impartial, ethical appraisal review services for our customers. Contact Appraisal Service and Solutions, LLC regarding our qualifications, expertise and service offerings.